The Miami Rum Congress was the last of four US Rum Festivals hosted by Federico Hernandez and The Rum Lab. Karen participated in each one after deciding to focus on events that highlight only rum, rather than mass tasting events featuring all types of spirits. It was a great decision. The events offered excellent rum education, the quality of the brands and their representatives were exceptional, and attendees were excited about premium rum. 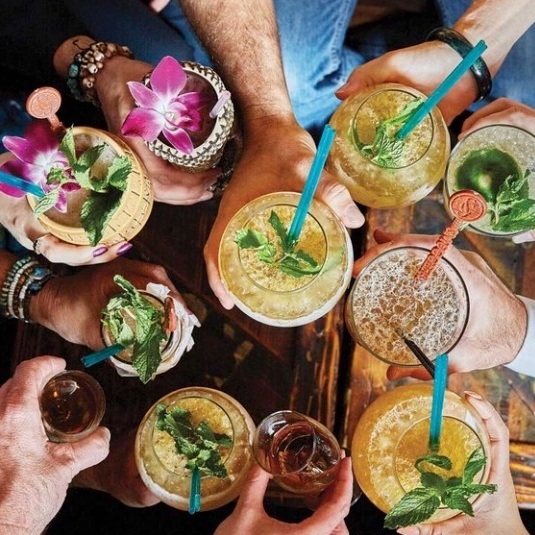 By the time the Miami event took place, everyone knew: something exciting was happening at the Rum Festivals hosted by The Rum Lab. A seminar at the Miami Rum Congress. It was great to see the culmination of so much hard work by people like Federico, Ian Burrell (the global ambassador for rum), and bartenders like Shannon Mustifer and Jeanie Grant, who have been dedicated to helping consumers understand and appreciate premium rums from around the world. People are paying attention! The Miami Rum Congress included an entire day of educational seminars that were sold out with standing room only, and Karen spoke on two panels: Women Leading Rum and Sustainability. Karen left feeling so energized—and just a tad tired. 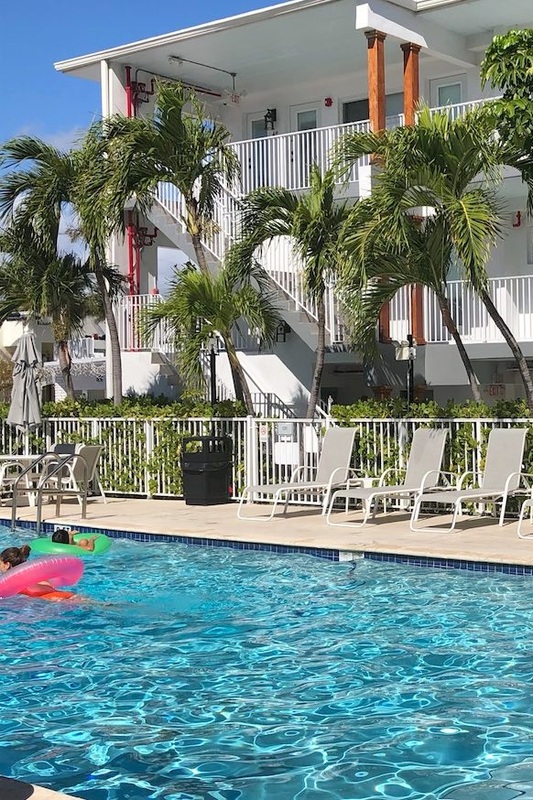 As she learned, you don’t have to be a night owl or a partier to adopt the Miami way. There she was each morning, 4:45 a.m. and still hopping from garden bar to garden bar sipping daiquiris. Maybe it was being at sea level, maybe it was the quality of the company—whatever it was, she had a boundless energy in the Magic City. The pool at The Park Royale Hote. Karen went for her usual: a quiet place where the price was right. The Park Royale Hotel was literally across the street from the event venue, which made all her setup and breakdown easy. And very few people staying there spoke English, giving it an exotic feel, like she was in Cuba or Venezuela. Best breakfast: 7tyone Restaurant and Coffee Bar. Karen will be the first to admit she’s a bit of a freak… er, connoisseur… of Arepas. At 7tyone Restaurant and Coffee Bar, they were amazing (egg, black beans and cilantro crema…hmmm). 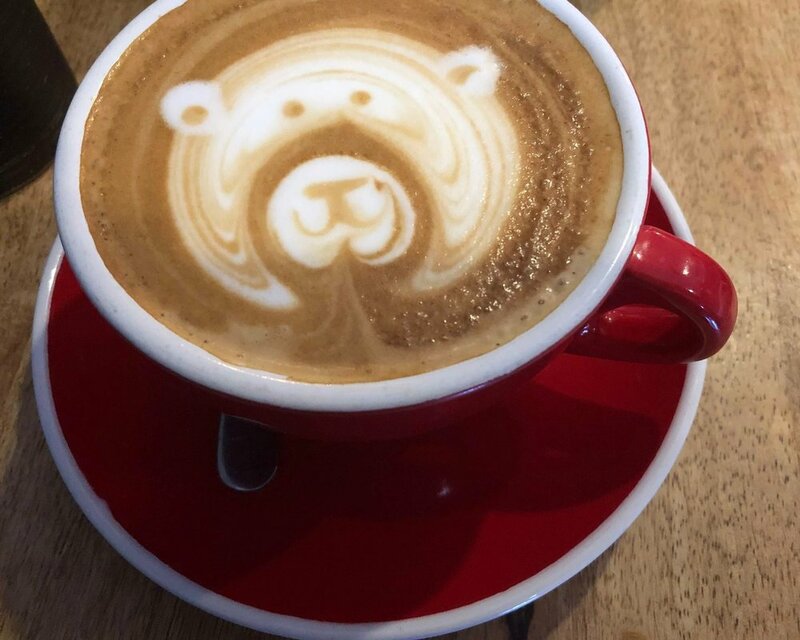 And the coffee was excellent, not to mention the latte art—Karen’s coffee featured a perfect bear. 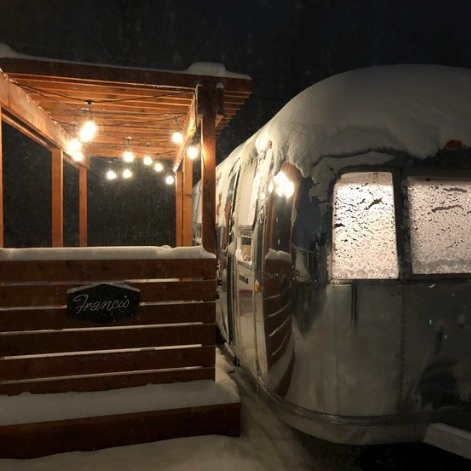 A favorite nighttime spot, Café Roval. Some places have a seemingly effortless charm about them, and Miami’s Café Roval is one of them. Everything feels right, from the ground under your feet to the cocktail in your hand. The Mediterranean food is astoundingly flavorful and fresh, and the setting is incredible: a beautiful garden with ponds, fountains, and a hidden tiki bar you have to hunt for out back. "Women Who Tiki" had taken over the bar and tiki mixologist Shannon Mustipher designed the cocktail menu (she also just published a book, Tiki: Modern Tropical Cocktails, which the LA Times notes as the “first cocktail recipe book written by a working African American bartender and released by a major publisher in more than 100 years.”) The cocktails were on point, as were the lamb chops with yogurt sauce and chutney, which looked totally normal and were knock-your-socks-off delicious. Café Roval is the kind of place you don’t want to leave, and for good reason. Karen’s next stop (which shall remain nameless) was also memorable but for all the wrong reasons. The cocktail was mediocre with a capital M and the vibe was "cocktail condescending". You know the type... bartenders who make you feel like you don’t belong and wouldn’t know a good cocktail if you saw one (something Karen and our staff work very hard to make sure nobody EVER feels at Montanya Distillers.) She wished she’d stayed at Cafe Roval! Thankfully, things ended on a high note when Karen came across Broken Shaker. A bit of a phenomenon across the U.S. it proved unforgettable. Once again, a beautiful garden setting with tables and couches in and amongst the trees and pools. A DJ played 80s music, though not all the predictable, over-played songs you’d expect—these were tunes Karen hasn’t heard in years, conjuring up memories of teenage boys and fast cars. Sooo good! She could have danced all night, and practically did, finishing the night at Sweet Liberty with a hip hop DJ! Perhaps this shouldn’t have been a secret, but here’s the thing: the Miami Rum Congress was so chock full of everything that it took Karen almost three days to figure out her hotel was a block and a half from the beach. She mapped out her location on Sunday morning and aha! There was the beach, so close.